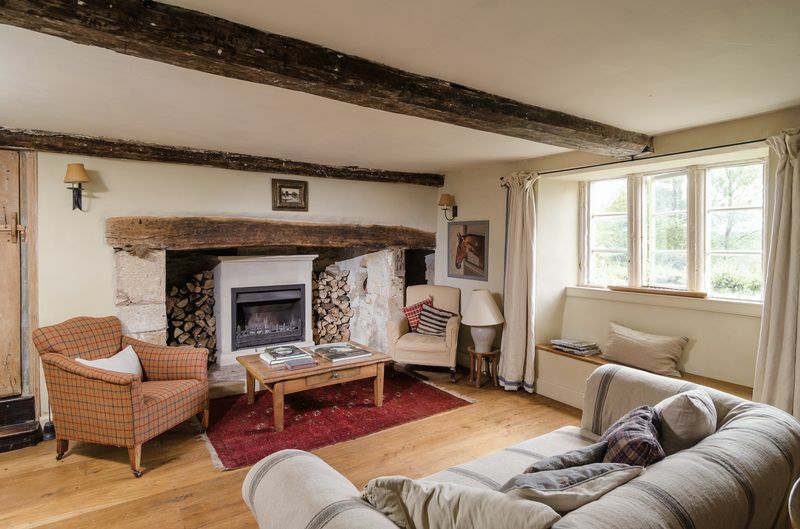 Glyde Cottages is a delightful six bedroom detached home bursting with character and traditional charm. 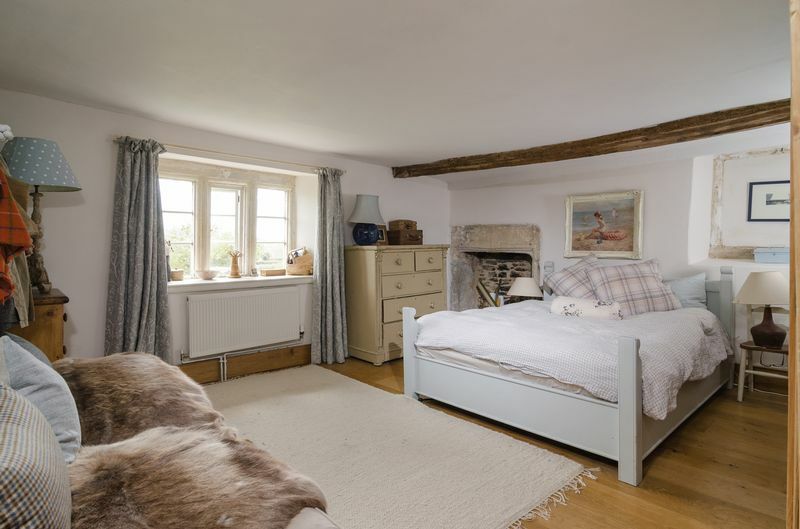 Originally two stone built cottages adapted to form one charming home, it has generous sized rooms over three floors. 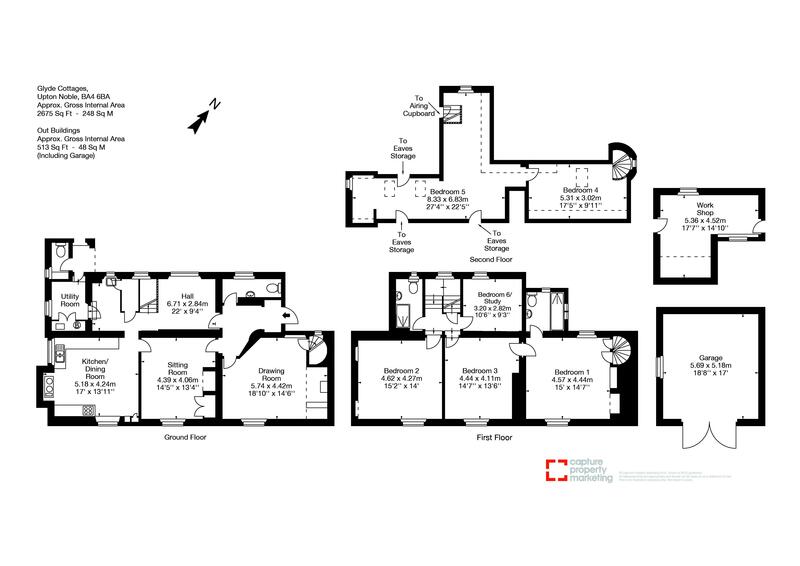 To the side of the house is a driveway which also leads to a garage and a workshop, which could be easily reconfigured into additional accommodation such as an annexe, an office or a study. 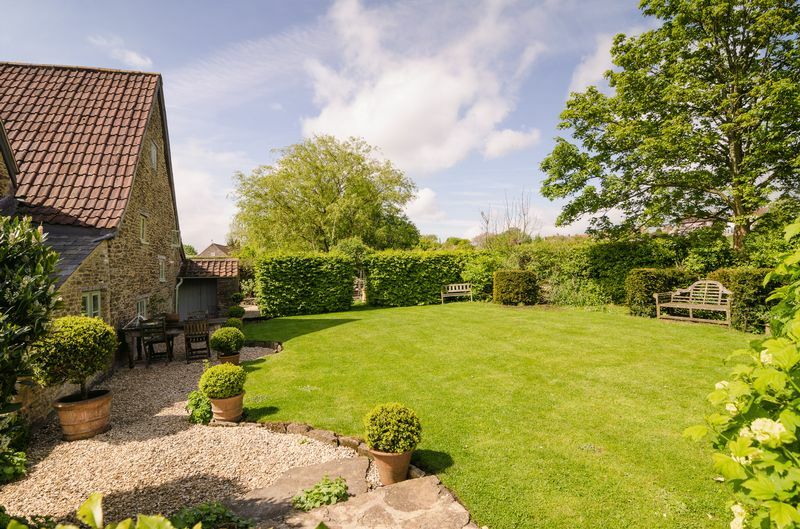 The house is set in delightful, private gardens with unparalleled views across a valley to King Alfred's Tower. The house is loaded with period features including hardwood floors, stone fireplaces, window seats, and wooden beamed ceilings. 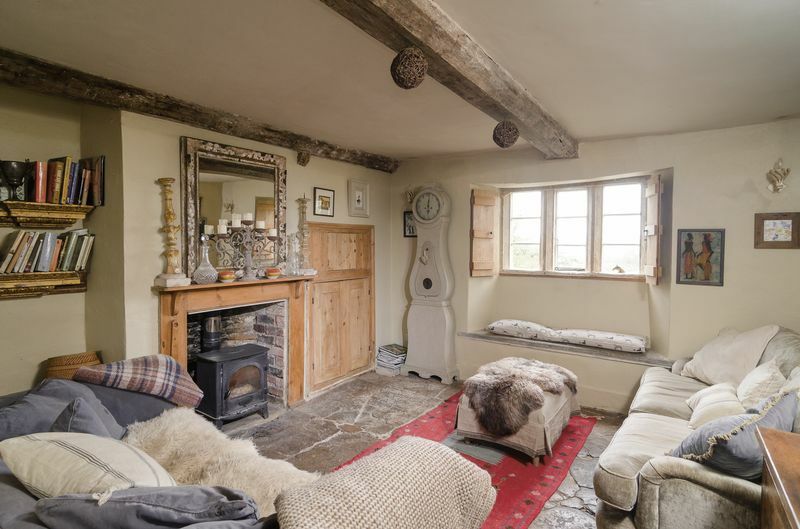 This lovely home is south facing, which gives warmth and light to the reception rooms which sit at the front of the house, and therefore also have great views through the traditional, shuttered windows. 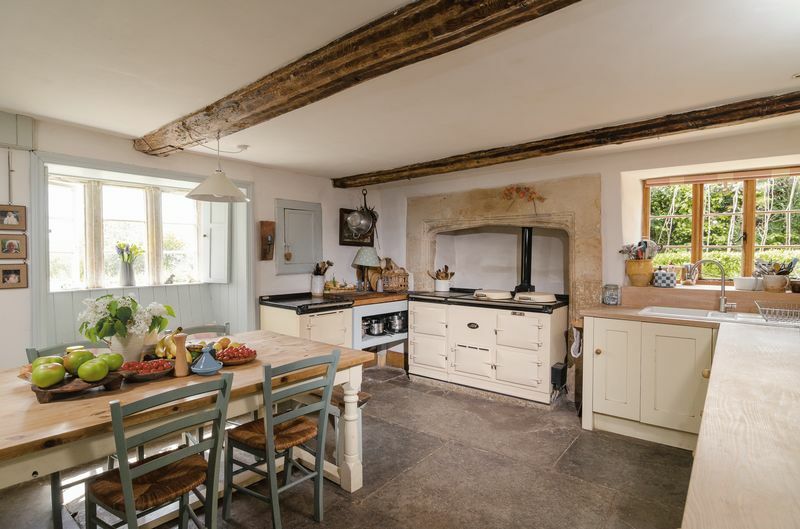 The kitchen has a large Aga which sits in an impressive stone fireplace, and dual aspect windows give views over the garden as well as towards the front of the house. 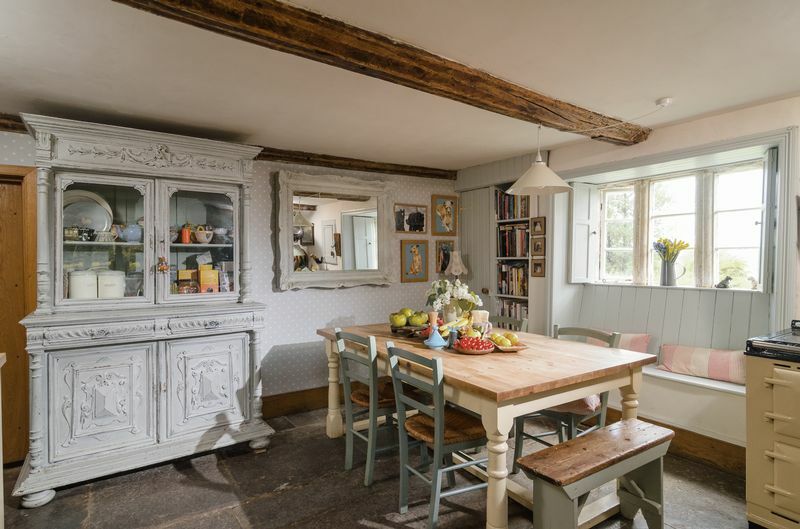 There are fitted, wooden kitchen units as well as space for a large kitchen table for cosy family suppers and Sunday lunches. There are two generously sized reception rooms which have wonderful traditional features including hardwood floors and beamed ceilings. 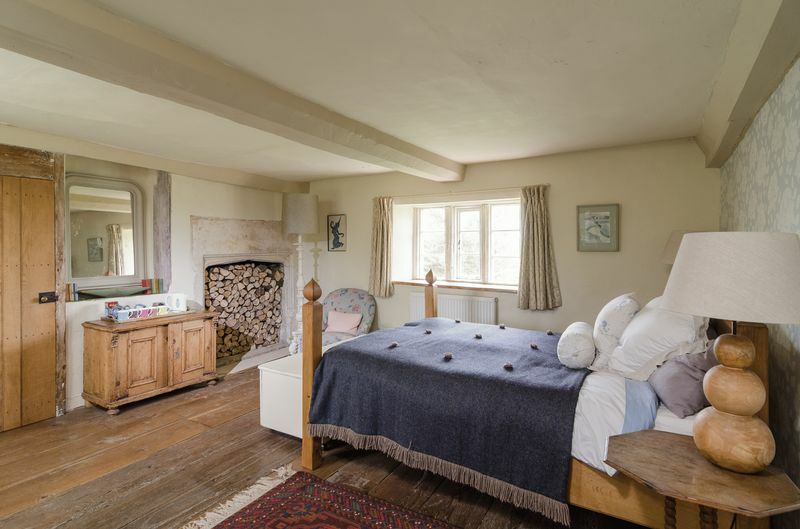 In the room currently used as a drawing room there is a Jetmaster fire set into an inglenook fireplace, solid wood flooring and also has a spiral staircase up to the first floor rising from one corner. There are also a lovely hall area on the ground floor with a feature window, which could be a great study area or boot room. There is also a utility room and one cloakroom on the ground floor. 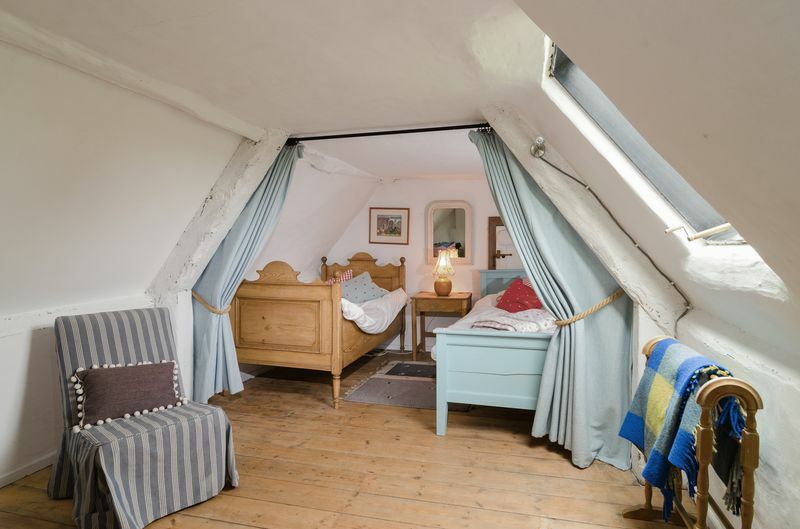 On the second floor there is a large attic bedroom with a living area, as well as a further double bedroom, both of which have great character and sloping ceilings with velux windows. 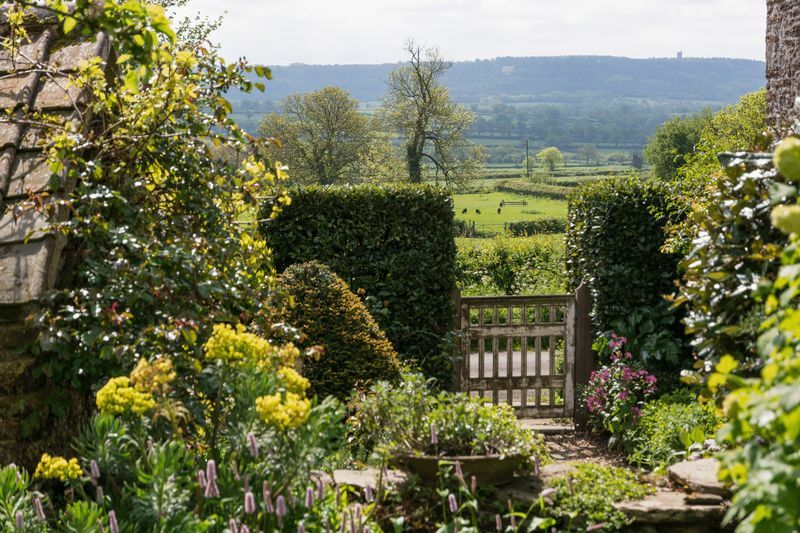 The garden wraps around the house, with pretty, level areas of lawn bordered by established shrubs and hedges, and with a gravelled area for a garden table and chairs. A vegetable patch is located outside the back door leading from the kitchen and utility area, and there are also established fruit trees offering some shade. 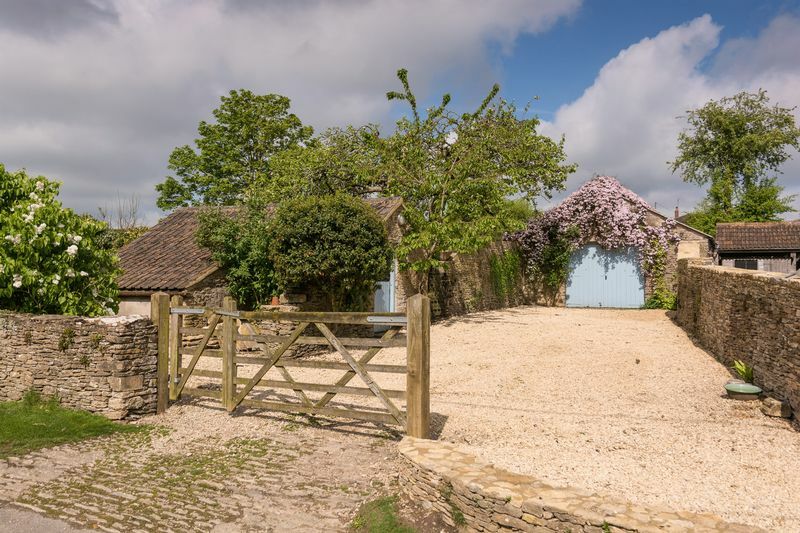 A gravel drive is to one side of the house, leading to the large garage, and also an outbuilding which is a useful size and provides a great opportunity for conversion into an office or annexe. 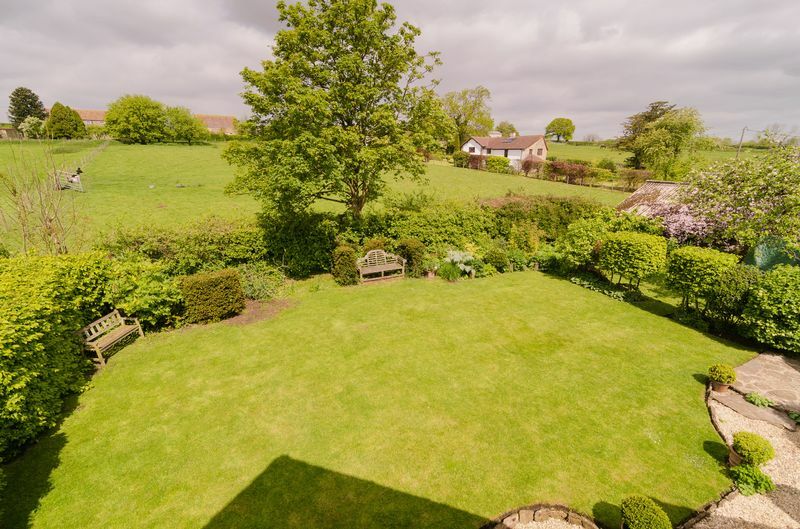 Upton Noble is a sought after active village with provides something for everyone including footpaths all the way to Stourhead National Trust Property, monthly cafes and it’s successful annual Beer Festival. The village has a pre school and primary school, village hall and a church. 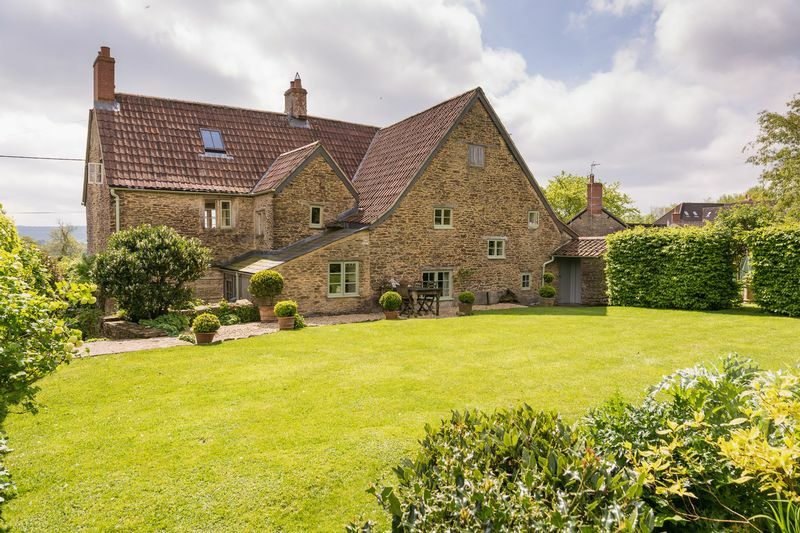 Upton Noble is approximately 8 miles from Frome and 3 miles from Bruton. 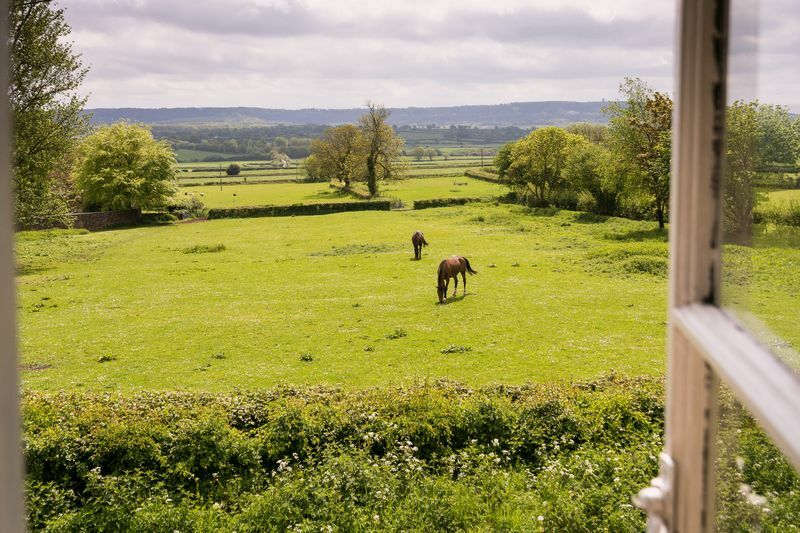 Bruton is a fashionable and popular town in the heart of the Somerset countryside. The town has several well-known restaurants, pubs and bars including “At the Chapel” and “The Roth Bar” at the world-renowned Hauser & Wirth Gallery. The town also has a doctors surgery, pharmacy, vet, post office, several mini supermarkets, fuel station and numerous independent shops. There are excellent local independent schools include King’s School Bruton, Bruton School for Girls and also the state owned boarding school - Sexey's. Bruton has it's own primary school and in close proximity are Millfield, Hazelgrove and All Hallows prep schools. Frome is a historic market town with many notable buildings and features the highest number of listed buildings in Somerset. There is a range of excellent independent shops, cafes, pubs and restaurants. This historic Town is also popular for its artisan street markets and festival and cultural events, including regular live music concerts. There is a sports centre, and a newly re-opened Cinema. For further shopping and recreational activities, Bath, Bristol, Wells and Yeovil are all within an hour’s drive. The A303 provides a direct route to London via the M3 and there is a mainline rail service from Bruton to London Paddington (approx. 2 hours) and also the new train to Waterloo. Airports in Bristol and Exeter offer connections within the UK, Europe and beyond. 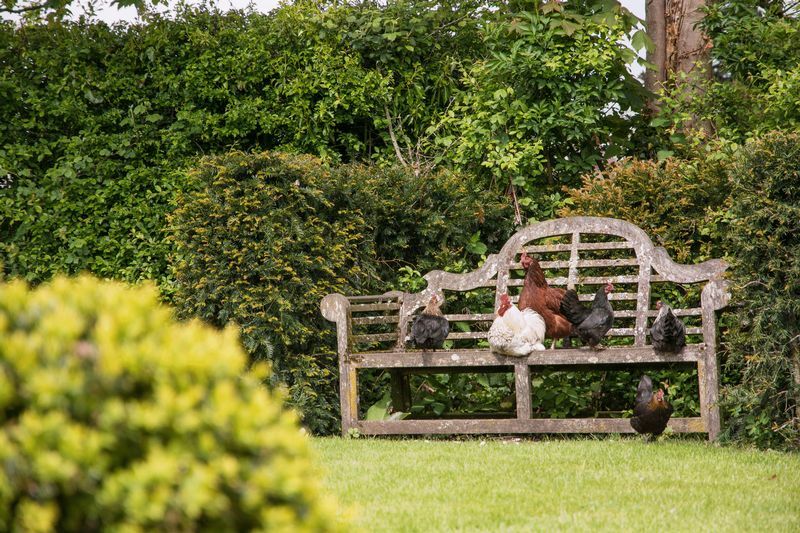 Babington House private members club which offers a wide range of leisure and recreational facilities is just about 5 miles away. Frome station offers high speed rail links to London Paddington and London Waterloo. Main electricity and water. Oil heating and private drainage. 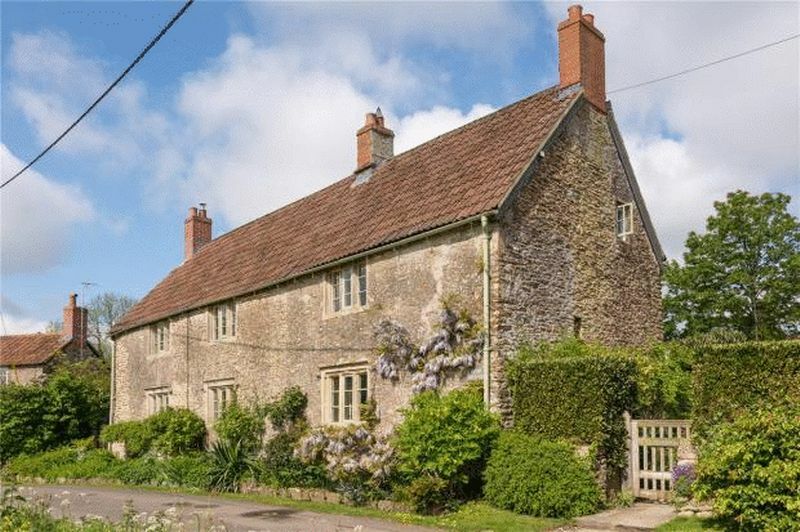 On the A 359 which runs between Bruton and Frome, half way between the two towns you will see a crossroads, follow the sign that says Upton Noble and at the first crossroad go straight over then take the first left and the house will be found on the left.